Customer satisfaction is no longer limited to just delivering quality services, products or projects. Its perimeter has increased wherein customer are not shying away from demanding to be kept ‘in the loop’ about the work-in-progress. Unfortunately, conventional emails don’t even come close to satisfying this demand. Then how does one deal with this sudden surge? Well the answer is simple; you get Rappora. It is here to effectively change the way businesses communicate with their customers. This app is a customer experience platform that makes it easy for both the parties to be on the same page during a project. Rappora is the brainchild of Greg Moore, Dan Ogren, Matt Rosno and Spencer Strombotne. The founding team met while working together at IBM, and immediately began jamming on ideas in their free time. By September Rappora had matured enough to become a full-time endeavor, and the team left IBM to go all-in with it. Rappora has two engineers with Matt on front-end development and Spencer on API and back-end development. Dan leads the UI/UX design and branding, and Greg leads customer development and marketing. The team is currently bootstrapping the company. 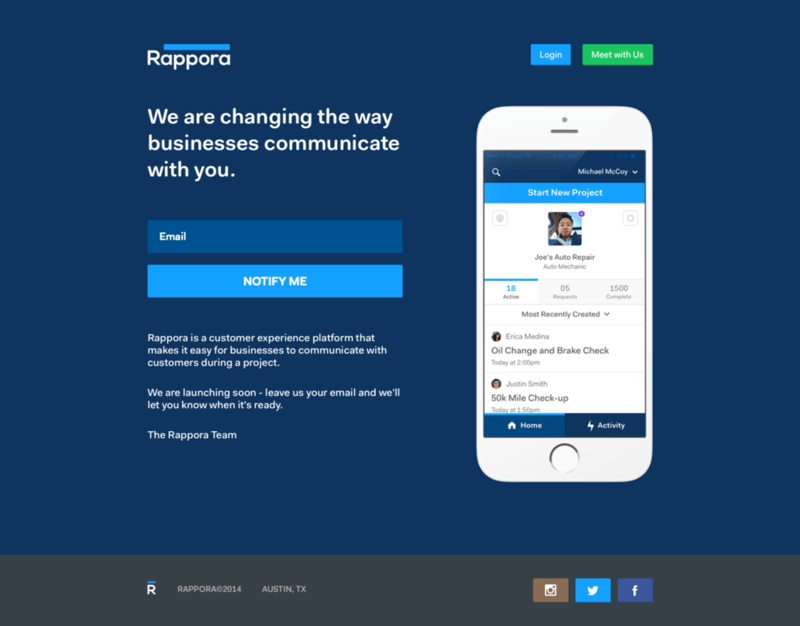 Rappora is a customer communication platform. This platform enables direct communication during an active project between a business and its customers. Businesses can share a variety of different updates, and their customers may interact with the content from any mobile device or desktop computer. Rappora helps businesses retain customers by delivering an exceptional experience. On The Problem It is Solving! An active project, regardless of the industry, is always hectic. 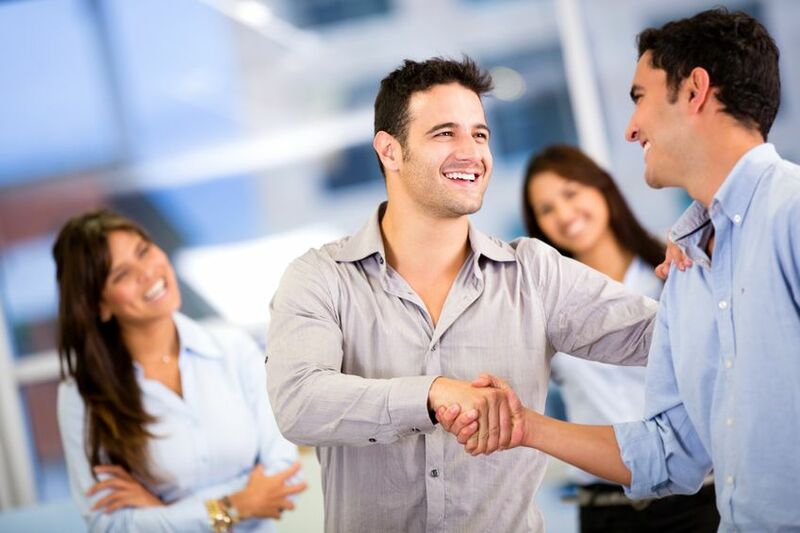 A business must clearly communicate with their internal employees, outside businesses that may be contributing to the project, and most importantly the customer. However, typically the customer receives the least amount of attention and is forced to take matters into their own hands. Rappora solves this by creating a shared space wherein each stakeholder can communicate and discuss ideas with one another. The shared space acts as a fluid project specific space where members can be added and removed as the project matures. The customer can view the entire lifecycle of the project and always feels like they are a part of the team. It all started when one of the co-founders, Greg Moore had a negative experience while working with an auto shop in Austin. After the horrible job was finished, Greg began researching if other customers had a similar experience. He found that not only did other customers of that particular shop have a bad experience, but in fact, many other service industries and their customers suffer from the same problem of communication breakdown between the business and its customers once a job starts. Greg spoke with local businesses and they shared examples of makeshift hacks and weak niche offerings. The combination of a personal pain point and lack of a successful existing product inspired the team to build Rappora. On The Road Blocks & Competitors! Like most startups, getting the word out about Rappora and getting the initial traction from customers was the team’s biggest challenge. Also they had zero connections in the industries they were interested in. So they had to build their initial user base relying on cold calling and dropping by businesses to pitch. In terms of competition, the good old email is their direct competitor as Rappora at its heart is a communication tool. However, unlike its competitor, this app is a far more effective tool that mainly focuses on customer communications that is so often ignored. The Future, Target Audience & More! “While we are currently focusing on a limited number of specific industries, we have built our platform to be extremely flexible. We are working towards building a platform that any type of service industry business can customize to their specific business, and deliver a unique experience to their customers. That means a marketplace for new features, and expanding into other parts of the customer experience such as customer acquisition”, says the team. Rappora, in general, is targeted towards all groups of audience. Currently the app is available only in Austin. However, they expect to expand pretty soon. In addition, to generate revenue, the team is relying in a monetizing model wherein businesses pay a monthly subscription fee to gain access to the platform. So, if you are business, then it is time to move away from conventional customer satisfaction methods. Use Rappora to make them happy by letting them be a part of your business. 4th Office Introduces Businesses To A New Way to Work! Habit Monster Makes Inculcation of Healthy Habits Fun! Previous articlePixentia Solutions Helps Bridge The Gap Between Industries & Academia! 10 Indian Startups To Watch For in 2015!